by Amanda H. Nussbaum, Esq. and Monica K. Arora, Esq. Prominent New York attorneys, Amanda H. Nussbaum, Esq. 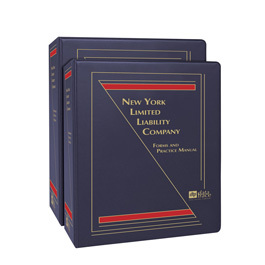 and Monica K. Arora, Esq., have drawn from their extensive experience to bring you strategies and forms for virtually every situation you may encounter in this newly revised two-volume Manual featuring a bonus CD with more than 200 electronic forms. 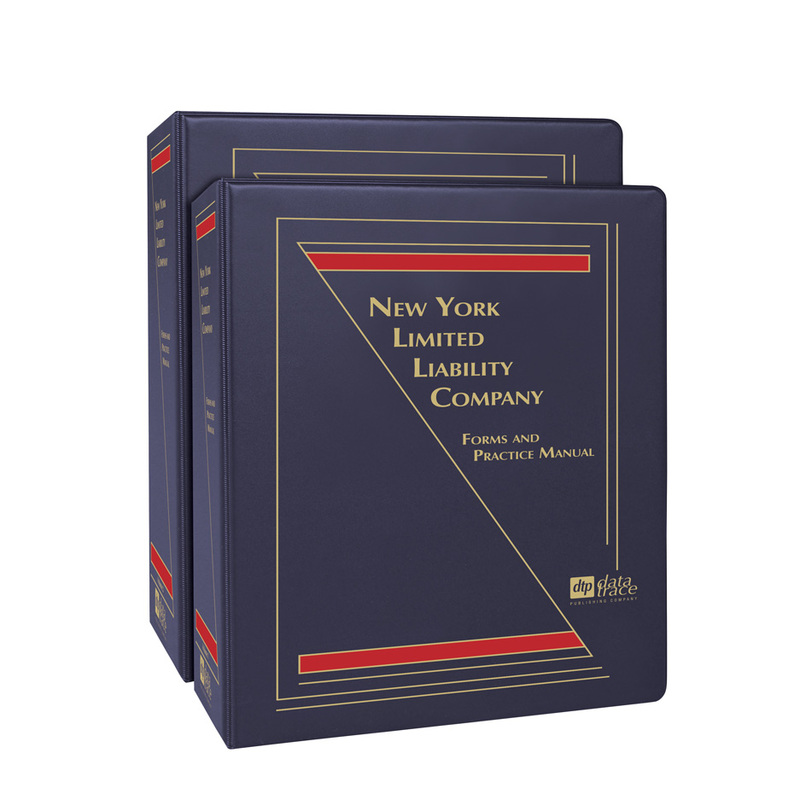 This comprehensive, updated manual, with its more than 1,460 pages of valuable content, will help you stay current and efficient by providing appropriate statutes and regulations – complemented by thorough discussions and analyses of any changing federal and New York state laws. Plus, you’ll be expertly guided through an extensive selection of appropriate LLC forms using an easy-to-follow format. Included are customizable electronic forms as well as explanations and planning strategies for the LLC business structure. Discussion of the proposed regulations on the qualified business income deduction. Discussion of guidance regarding withholding tax on dispositions of partnership interests by non-U.S. persons. Discussion of the impact of the Technical Corrections Act on the partnership audit rules. Discussion of updates with respect to New York State and New York City tax law in response to changes made by the Tax Cuts and Jobs Act. Amanda H. Nussbaum, Esq. is a partner in the Tax Department of Proskauer Rose LLP, and also a member of the Private Investment Funds Group. Her practice concentrates on planning for, and the structuring of, domestic and international private investment funds, including venture capital, buyout, real estate and hedge funds, and she advises those funds on investment activities and operational issues. In addition, she has significant experience structuring taxable and tax-free mergers and acquisitions, real estate transactions and stock and debt offerings. Ms. Nussbaum regularly advises clients on the formation and operation of partnerships, limited liability companies, and other pass-through entities. She received her B.A. from Yeshiva University, her J.D.from Harvard Law School, and her LL.M. in taxation from New York University School of Law. Monica K. Arora, Esq. is a partner in the Corporate Department of Proskauer Rose LLP. Her practice focuses on representing sponsors and institutional investors on a broad range of issues including fund formations, separate account structures, general partner and management company arrangements and secondary transactions. Monica advises sponsors across the full asset class on fund structuring, including private equity, real estate, infrastructure and debt. She works with private investment funds throughout their life cycle, advising on ongoing activity, with a particular emphasis on regulatory, compliance and operational matters. She received her undergraduate degree from the University of Chicago and received her J.D. from Georgetown University Law Center.